The Association of Colorado Independent Schools (ACIS) includes thirty-six schools with a total of over 10,300 students. Members reflect a wide variety of school missions: boarding and day schools, progressive and traditional programs, Montessori and Waldorf schools. They are also geographically diverse, with half the schools (18) located in Denver or the immediate vicinity, eight in mountain communities or on the Western Slope, and ten members in the Front Range cities of Boulder, Colorado Springs, and Pueblo. ACIS accredits, supports, and promotes independent schools in Colorado in a way that respects each school's mission and fosters excellence in teaching and learning. ACIS celebrated its 50th anniversary in fall 2007. John Suitor has been elected to serve a 3 year term as the Board President starting on July 1, 2018. 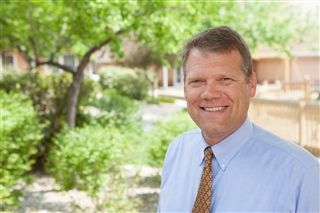 We congratulate him and wish him well in his service to ACIS and Colorado independent schools.